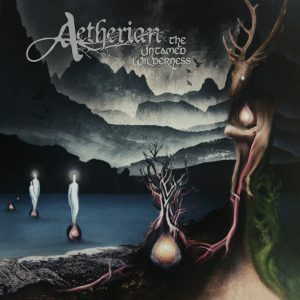 Greek melodic death metal band Aetherian released its debut album The Untamed Wilderness already back in November last year, but it’s never too late to review, right? So let’s give it a spin! Everything starts with Wish For Autumn Twilight. This is a mainly instrumental intro that floats between very soft passages and some aggressive drumming, paired with deep growls. A very nice prelude to what is yet to come! Dark Earth is more aggressive than its predecessor, especially because it’s marked by aggressive drumming right from the beginning. You get some time to catch your breath though in this 7-minute song with an instrumental bridge in the middle and another melodic fade-out at the end. As The Veil Fades has some Insomnium-moments in it, while Black Sails is marked by some nice acoustic guitar chords in the beginning, in the middle and at the end. Seeds Of Deception is generally more somber regarding its atmosphere, but things lighten up again somewhat with the intro of Shade Of The Sun. Not for too long though, as we enter then the most brutal passage of the entire album! Clouds Gathering is a very soft, instrumental interlude: acoustic guitars are teaming up with a cello on this one for some bittersweet melodies. Things then speed up again with The Rain, a track that pays tribute to Omnium Gatherum and Be’lakor again, so right up my alley and very melodic, albeit the growls and heavy guitar riffs. The Path is closing off the album and is also a Scandinavian-sounding melodic death metal track, but more midtempo in pace than its predecessor. In conclusion: Aetherian claimed in their accompanying info sheet that they can compete with the Scandinavian pioneers of the melodeath genre – and it’s very true! The Untamed Wilderness is quite a diverse album and well-produced. The guys themselves are great musicians, so it’s a joy to listen to them throughout the entire album. Aetherian play classic melodic death metal alike the bands mentioned above, so if you’re a fan, you should check them out! 9.5/10.